The 70th Annual Primetime Emmy Awards struggled to find an audience on Monday night. Television's biggest night ended up with its smallest audience ever. The 70th Annual Primetime Emmy Awards averaged 10.2 million viewers for NBC. That number is down 11% from last year, which makes Monday's show the least-watched Emmys on record. The Emmys aren't alone when it comes to declining viewership. The Oscars and Grammys' numbers have also suffered in recent years. The awards broadcast clocked in at three hours and went up against ESPN's "Monday Night Football." Highlights include "The Marvelous Mrs. Maisel's" win in the best comedy category, "Game of Thrones" reclaiming the best drama award and director Glenn Weiss' on-stage marriage proposal while accepting the Emmy for his work at the Oscars. The overall broadcast was on the receiving end of some bruising critique. 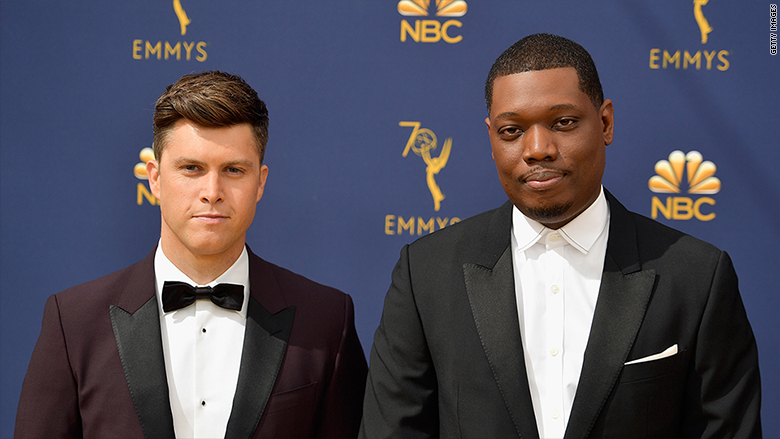 "With Michael Che and Colin Jost unable to set an amusing tone, the Emmys became a bloated 'Saturday Night Live' episode," wrote Daniel Fienberg, TV critic for the Hollywood Reporter. CNN's Brian Lowry agreed with this assessment. "There was simply too much 'SNL,' past and present, as if producer Lorne Michaels -- overseeing the telecast for host network NBC -- could scarcely be bothered to reach beyond his comfort zone," Lowry wrote in his Emmy review.